This is another long overdue post I can’t believe I haven’t done before! 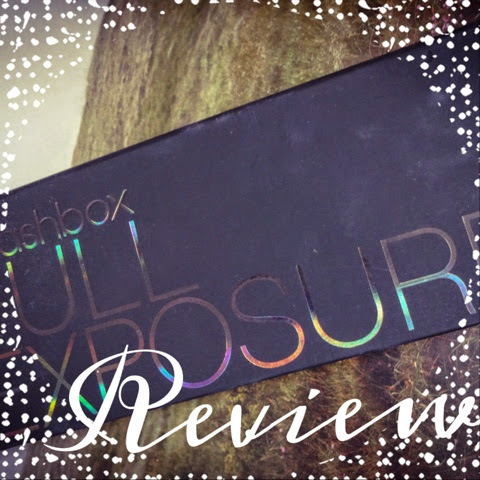 For my birthday, waaaay back in June, I got given the Smashbox Full Exposure palette from my lovely husband - see my birthday post here. It was something I’d wanted for a while, but never been able to justify, so I was really excited by it. I didn’t actually use it for quite a while after I got it, but lately its become my ultimate go to for almost any eye look, so I had to share it with you. I think this is the ultimate eyeshadow palette for people who don’t like eyeshadow palettes. That might sound like crazy talk, so let me explain. 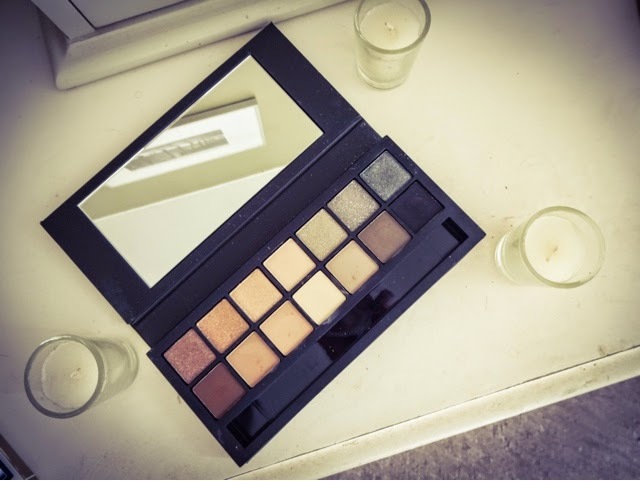 You might love collecting palettes – I certainly do. But there are people out there, even bloggers, that don’t like them. Either they feel its wasteful because there are too many shades that stay unused, or because there’s just so many out there, how do you choose? Well, this palette could cure those people - because every single shade in it is utterly wearable and it also contains pretty much every shade you’ll ever really need, unless you’re into acid brights. Just like the ubiquitous Urban Decay Naked palettes, there aren’t any dodgy colours lurking inside, but there’s also a neat range of cool and warm tones, plus a matte and a shimmer version of each, so you literally can’t go wrong. It’s hugely versatile. So, if you really don’t like palettes, you could buy this and never need another one in your life. The thing that made me lust after this palette in the first place was really the beautiful, eye-catching glitter shades. 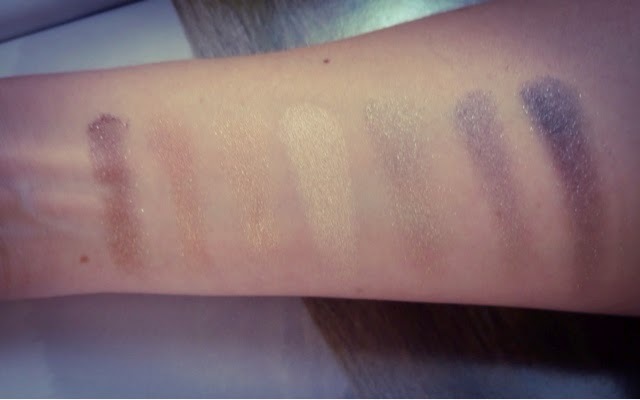 Each shade has a matte counterpart, which is useful, but to me it’s the glitters that wow. They just have this wonderful depth and glow that comes from a unique blend of finely-milled shimmer and larger, glitter pieces - the combination almost gives a holographic effect, its mesmerising. Aren’t they just beautiful? I know we all already have beiges, blacks and greys lurking in our collections, but there’s something luminous about these shadows that just seem to cry ‘own me!’. The glitter shades pop and sparkle against the skin and the mattes are velvety, luminous and multi-dimensional. These are special shadows. Like all good make-up they seem to hold out the promise that life will be better –more sparkling somehow- with them on your eyes. 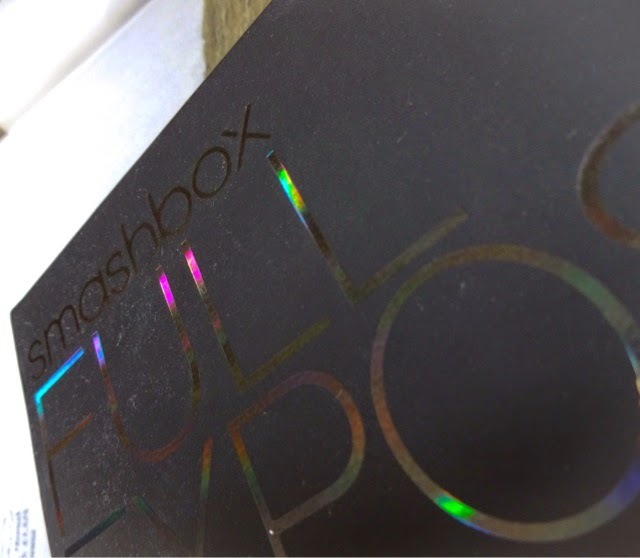 Smashbox are a premium brand and you’d expect them to perform as such. 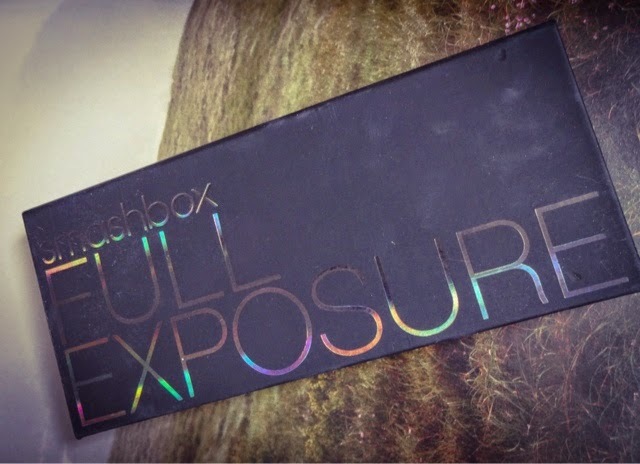 The Full Exposure palette won’t let you down here. With a primer, you’ll get a solid 8 – 10 hours without fading, creasing or cracking, and the glitters are surprisingly durable. The pigmentation is as fulsome and delicious as you’d expect, and just swatching some of the shades on your hand will make you smile, because they’re so rich and seductive. 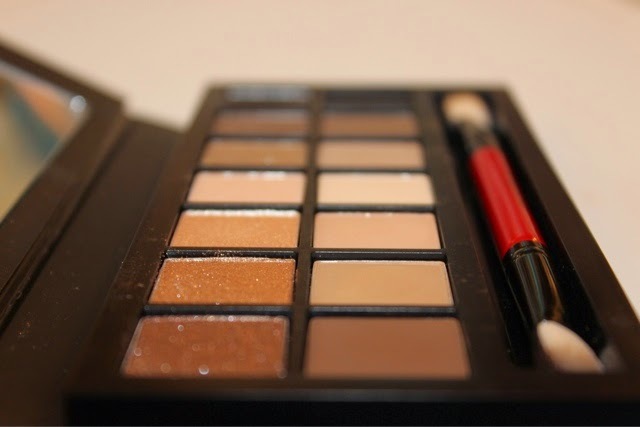 The mattes avoid being chalky, which even some of the Urban Decay Naked mattes could be accused of. Instead, they’ve got a certain velvet to their texture that ensures that instead of the dreaded 'flat mattes', they’re matte in a rich, deep, buttery way. 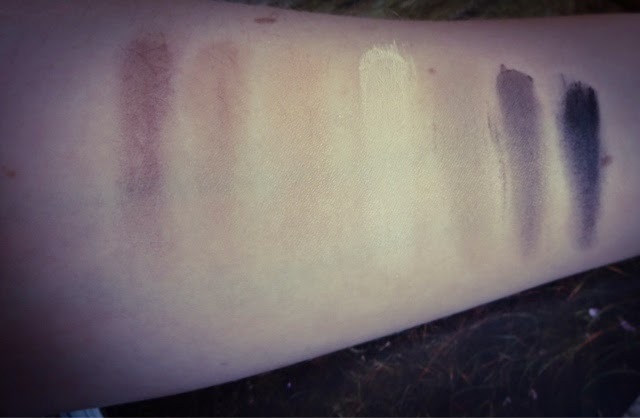 If you’ve ever looked at images of matte smokey eyes in magazines or on Pinterest and wondered why the effect you get at home with matte shades is so much more dull and sad, you need these in your life. This is matte – amplified. The glitter shades give a bit of fall out that you need to be prepared for, but nothing too bad. 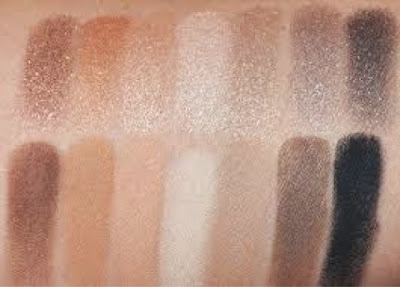 The range of colours on offer here means there are shades to suit all skintones, and nudes never have to look boring again. Pretty sleek – you get 14 rather generous, large square pans of shadows in a matt black coated cardboard covering, with the lettering picked out in holographic type. It looks high performance. My only slight drawback would be that cardboard packaging gets easily bashed around, especially when travelling, so it would be easy for this to get messed up - something a little sturdier might be better, especially for something with so much mileage that could easily become a can’t-live-without item. There’s no mirror, which is a little annoying – often, if I’m away from home, I find myself relying on the larger mirrors in palettes to do my whole face. But you do get a brush, and it’s a great one. 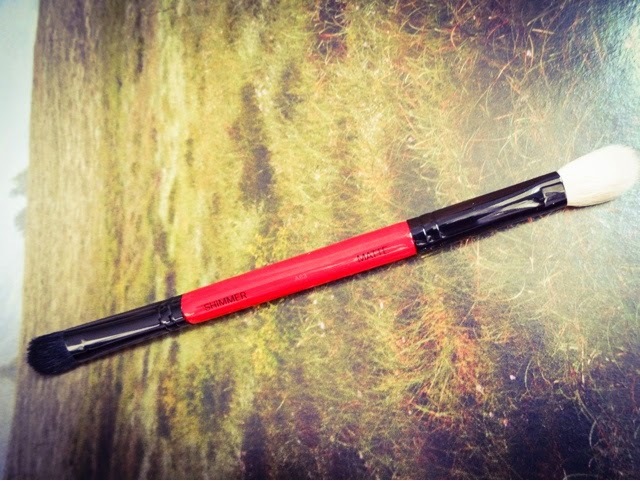 A really well made brush, double ended with a gloss-painted wooden body and dense bristles. 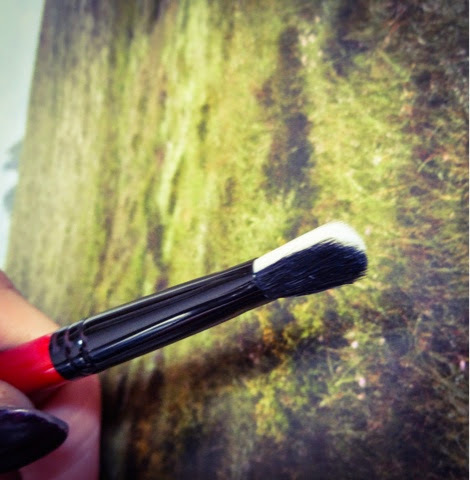 It’s a flatter, split-fibre brush which is good for getting a really dense application and works well with the glitter shades, where a fluffier brush wouldn’t pick up enough pigment. There’s also a longer brush head for blending out. 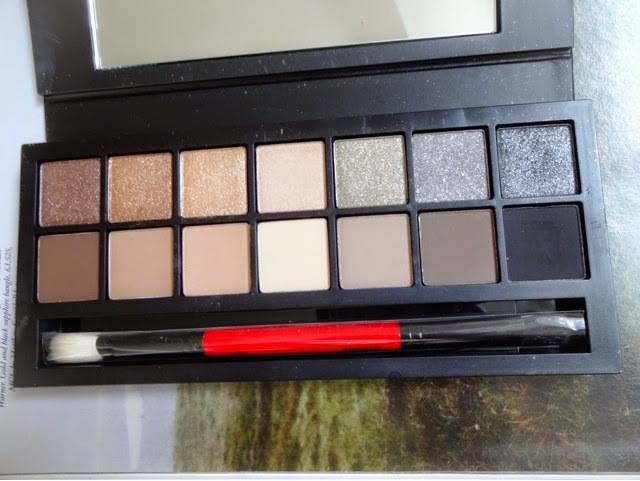 This palette would be an ideal buy if you aren’t confident with shadows or are unsure where to start, but it includes a very clear, step by step guide to a few eye looks, for different eye shapes. This is good even if you know what you’re doing, because there is always something more to learn – make-up is never one size fits all. 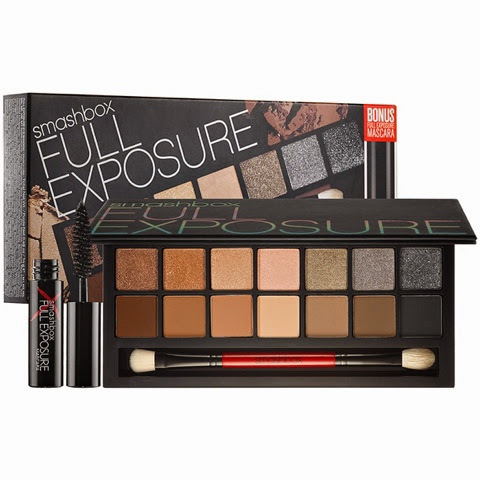 The true skill comes with knowing how to adapt a specific look to your own face, and Smashbox have tried to take the guesswork out of that here. And the brush is even colour coded, so you don’t dip dark shadow all over the lighter shades by accident – it makes it all pretty foolproof. It seems to be the rule these days that palettes provide you with a little something extra – a primer maybe, or a complementary lip shade. Full Exposure comes with a ‘deluxe sample’ size of the mascara, and although I haven’t tried that yet, its quite a good thing to include. So, have you tried Full Exposure yet? What do you think? 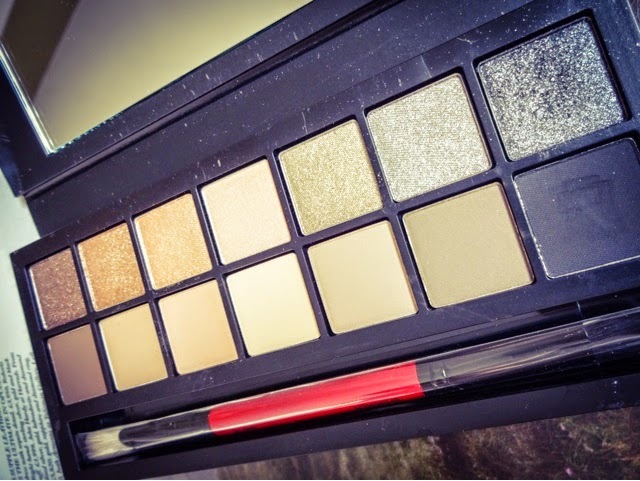 Can it steal the crown for ultimate palette from Urban Decay? Wow that's a really beautiful palette and I think I would use each and every one of the shades - gorgeous! I am loving those matte shades!